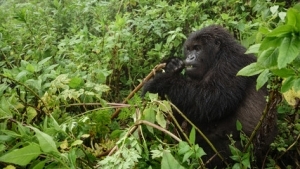 Mgahinga National Park, Uganda Gorilla trekking, Mgahinga Gorilla National Park is Uganda’s smallest national park situated in the extreme southwestern part of Uganda in Kisoro district. The park is located on the northern slopes of the three northernmost Virunga Volcanoes namely; Mt. Muhavura (4,127 m), Mt. Gahinga (3,474 m), and Mt. Sabinyo (3,645 m). Mgahinga National Park covering an area of 33.7sq.kms was gazetted in 1991 to protect and conserve the species of the rare mountain gorillas that inhabit the park’s hilly dense forests. Just like Bwindi Impenetrable national park, Mgahinga national park is also famous for its mountain gorillas. 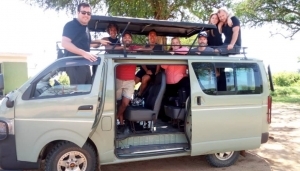 The park is home to the habituated Nyakagezi gorilla group – a fairly nomadic bunch that has been known to cross the border into Rwanda and the Congo. The family includes the lead silverback Bugingo who is around 50 years old and father to most of the group; his silverback sons, Mark and Marfia; and two blackbacks, Rukundo and Ndungutse, who love to pose and play in the trees. The two females, Nshuti and Nyiramwiza, both have babies Furraha and Nkanda respectively. Out of the twelve habituated Gorilla groups in Uganda, eleven are found in Bwindi and only one is found in Mgahinga Gorilla Park. 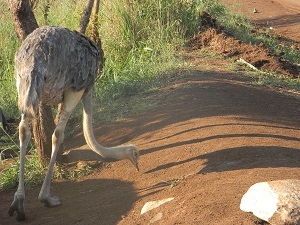 The varied habitats of Uganda’s smallest park make it home to a variety of birds with 179-184 species recorded. The list includes the Ibis, Pin-tailed Whydah, Speckled Mouse bird, Stone Chat, Grey-capped Warbler, Wax Bills, Yellow-vented Bulbul, Fire finch, White-napped Raven, Black Kite, Rwenzori Turaco, Blue-headed Coucal, Paradise Fly-catcher, Rwenzori Batis, Double-collared Sunbird, and Rwenzori Nightjar. With a diverse collection of tourism activities, gorilla tracking stands out to be the leading activity at Mgahinga Gorilla national park and 75% of Mgahinga’s visitors come to view the primates. 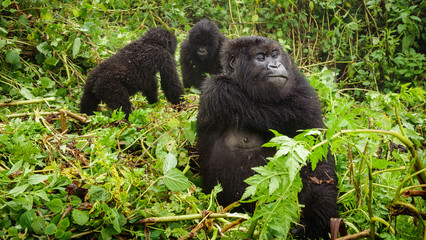 With Uganda left with about 400 mountain gorillas, the park is one of the two places where a visitor is guaranteed to have a glance at the endangered species. 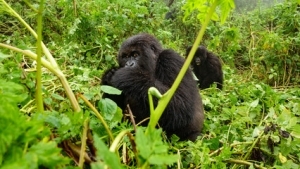 It is the best point to trek the Nyakagezi gorilla group which frequently moves adjacent in the forests of Congo and Rwanda. Gorilla trekking in Mgahinga starts from Ntebeko Entrance gate at around 8:00am in the morning daily taking between 2- 8hours.It is done under the direction of a well-trained guide who explains the gorillas’ behaviors along the way . A visitor is expected to budget for his/her time well while with a gorilla family since the maximum time allowed to spend with them is one hour. We must put it clearly that, while you have high chances of seeing gorillas, success is NOT guaranteed because these are wild creatures with no fixed routine, and finding them requires the skill and experience of your trackers and guides, as well as luck. 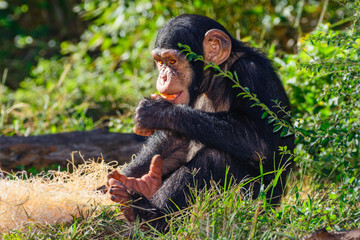 Mgahinga Gorilla National Park is endowed with an estimated number of 79 bird species and these include several species which are endemic to the East Congo Montane region. The three to four hour Gorge Trail between Gahinga and Sabinyo provides a spectacular sightings of the Dusky turtle Dove, Cape Robin-chat, Kivu-ground Thrush, Olive Thrush, Brown-crowned Tchagra, Bronze Sunbird, Regal Sunbird, Blue-headed Sunbird, Rwenzori Batis, Black-headed Waxbill and Streaky Seedeater. Other good birding areas in the park are at the bamboo belt at about 2,500m above sea level, and the tall montane forest at 2,660m. The Rwenzori Turaco is mostly sighted at around 2,700m. Along the Uganda-Congo border and on level ground, the Chubb’s Cisticola, Red-faced Woodland Warbler, Banded Prinia and Doherty’s Bush-shrike are vocal yet inconspicuous inhabitants of the tangled vegetation at the forest’s edge. 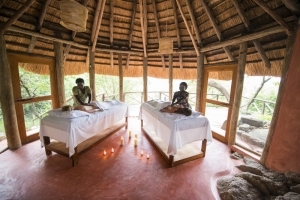 Mgahinga Gorilla National Park provides a unique opportunity to trek the striking Golden Monkey creatures inhabited in the dense bamboo forests on the Gahinga trail. 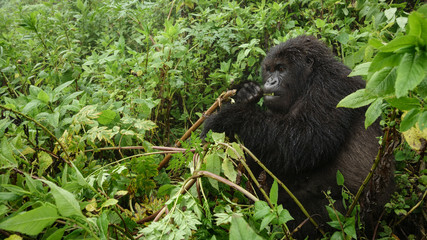 There is an estimated 3000-4000 individual in the Virunga area which 42-60 are habituated in Mgahinga. The golden monkey track is a gentle steep but an interesting two-hour trek through former farmland to the forest full of bamboos. On bright daylight, visitors are likely to view the Virunga Volcano range and come across buffalo and duiker. 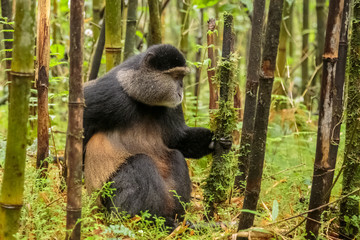 Note that, the process of trekking golden Monkey in Mgahinga is the same as Mountain gorilla trekking hence the same rules apply to all the two activities. Mgahinga’s dense forest was home to the indigenous Batwa: hunter-gatherers and fierce warriors who depended on the forest for shelter, food and medicine. 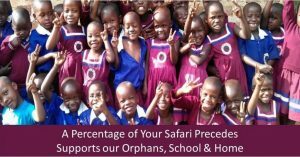 When the forest was gazzatted to national park, the Batwa were pushed away from the forest and abandoned their low-impact, nomadic lifestyle. 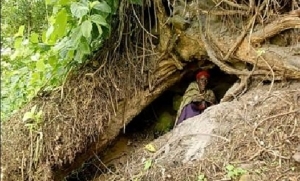 The only time they are permitted to re-enter their cherished forest is as tour guides on the Batwa Trail, on which visitors will discover the magic of the Batwa’s ancient home while enjoying nature walks and learning about the cultural heritage. The Batwa Trail leads from the base of Muhuvura to Garama Cave. This walk is conducted by Batwa guides who provide insights into their traditional forest life and culture. During Batwa trail tour, the Batwa demonstrate hunting techniques, gather honey, point out medicinal plants and demonstrate how to make bamboo cups. 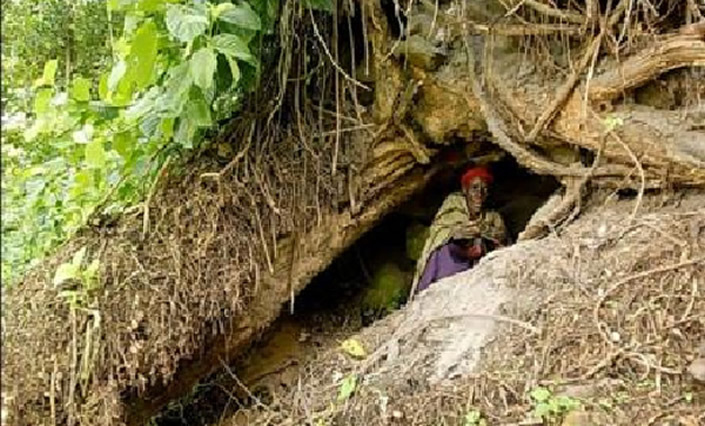 Guests are invited to the sacred Garama Cave, once a refuge for the Batwa, where the women of the community perform a sorrowful song which echoes eerily around the depths of the dark cave, and leaves guests with a moving sense of the richness of this fading culture. 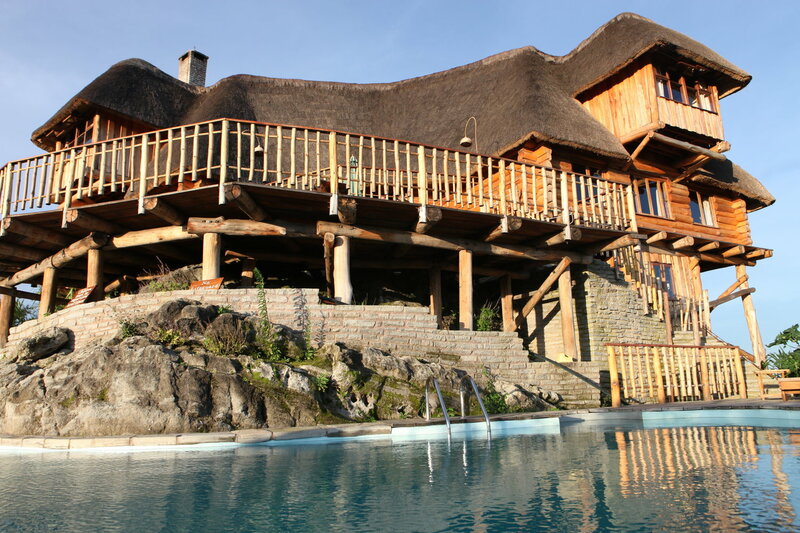 Note: this tour involves hiking at an altitude of around 2,500m for at least 4-5 hours and hence it takes half day or whole day to explore the Batwa trial experience. 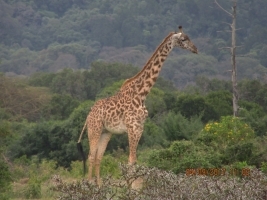 Mgahinga National Park also attracts a reasonable number of hikers interested in exploring the peaks of the three instinct volcanoes of Mgahinga, Muhavura and Sabinyo. All the three volcanoes in this park can be summited. Mt. Sabinyo, at 3,669m, takes about eight hours to cover the 14km round trip, following a steep ridge up to the peak. 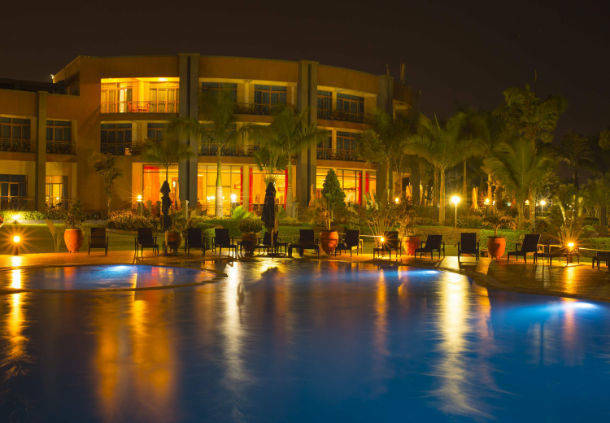 The park lies in the south-western corner of Uganda, 540km from Kampala and one can access the park by use of a car from Kampala via Kabale to Kisoro. This journey takes about 9-10 hours. By air, one can board a plane from Entebbe to Kisoro Airstrip which is near the park. This is the quickest mode of access and it takes about 1 hour. 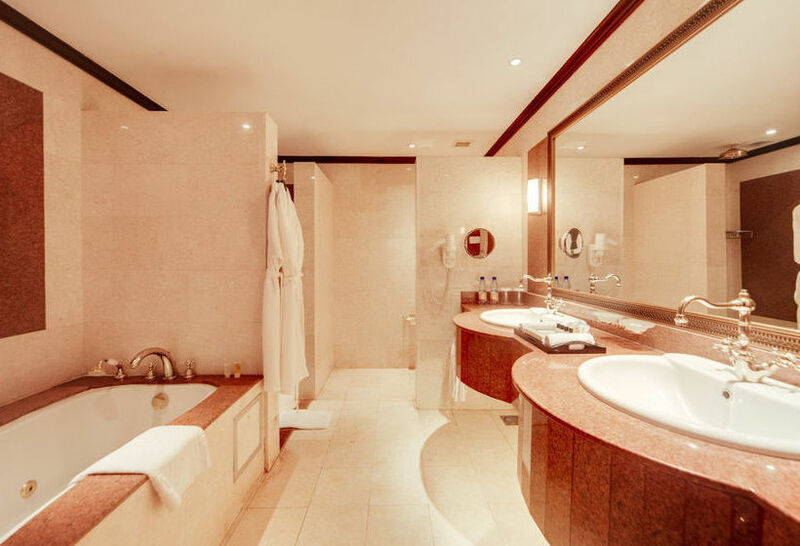 There are daily scheduled flights which must be booked long in advance with us. While at Mgahinga Gorilla national park, one should not worry about the place to stay because there are various lodges suitable for relaxation and overnight. These are found in Ntebeko, Kisoro and Lake Mutanda. 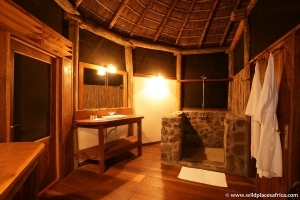 In Ntebeko, the accommodations are; Volcanoes mount Gahinga Safari lodge and Amajambere Iwacu camp. 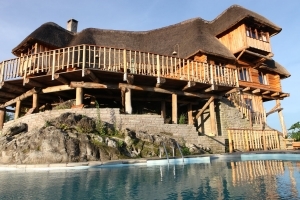 The lodges in Mutanda include; Lake Mutanda Chameleon Hill Lodge. 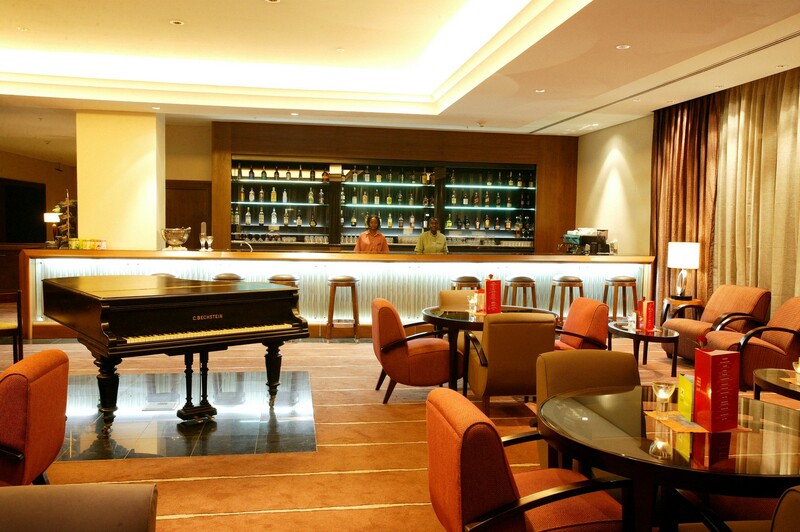 In Kisoro, the lodges where a visitor can stay are; Kisoro Traveler’s Rest Hotel and River Mucha Hotel.